Celebrate straight-from-the-heart Chicago sound at the free admission Chicago Blues Festival in Grant Park, June 8 – 10. You’ll see and hear downtown Chicago transform into a musical mecca at our FREE 175 Days to Love Chicago pick for Saturday, June 9. Chicago is often called the “birthplace of the Blues,” but during the Chicago Blues Festival, this city becomes a living testament to the worldwide, incredibly varied and expansive genre of the Blues has become with three days of live music on five stages! Out of the long list of acts on the roster for Saturday, June 9, keep an eye out for the Panel Discussion of Malaco Records with Tommy Couch, Jr., Wolf Stephenson, Brett Bonner and Alex Thomas; the Harmonica Blowout with The Harry Garner Band and several harp guests; a Tribute to Hubert Sumlin featuring Steady Rollin Bob Margolin, Eddie Shaw, Dave Specter, Bob Corritore, Johnny Iguana, Kenny “Beedy Eyes” Smith and Bob Stroger; and Chicago’s own Floyd Taylor headlining at the Petrillo Music Shell. With panels, tributes, bands from near (very near!) and far, and can’t-miss headliners, including Mavis Staples closing out the fest on Sunday night, you’re in for a weekend full of musical memories that could only happen in Chicago. 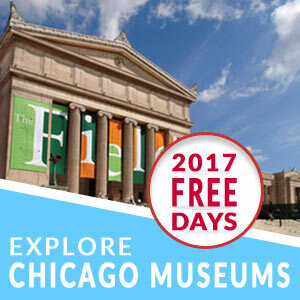 Feel the rhythm for FREE at the 2012 Chicago Blues Festival in Grant Park from Friday, June 8 – Sunday, June 10. (Hours: Friday & Saturday, 11 am – 9:30 pm; Sunday, 11 am – 9 pm).